The use of a cast is a common treatment in orthopedics. 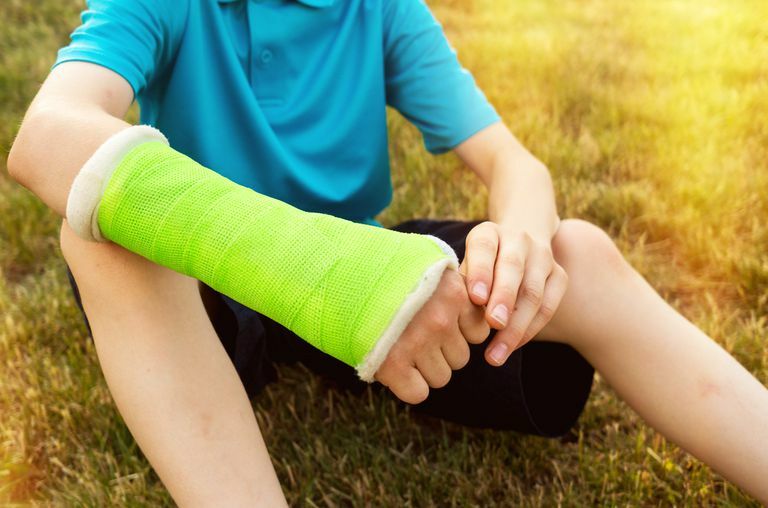 Often used for the treatment of a broken bone, a cast can also be useful after surgery and for other conditions that require immobilization. Unfortunately, a cast can start to stink, and often the smell can become quite bad. Cast odor tends to be most problematic in young children and athletes. Little kids have a hard time keeping the cast dry. Athletes, on the other hand, may not give up their exercise, causing sweat to accumulate under the cast. So, what can you do if you have a smelly cast? Once a cast starts to smell bad, it is unlikely that it will start to smell good. Here are a few ideas to help with the stench of a stinky cast, but the best advice is to care for your cast early on to keep it from getting smelly! The key to an odor-free cast is moisture. If you can keep your cast dry, you'll likely not have odor problems. This means keeping water out of the cast and keeping sweat from under the cast. There are a number of ways to keep your cast dry and keep you clean. You can either be creative with products from around the house ​or buy devices specifically made to keep your cast dry. While household products (newspaper or bread bags) may be readily available and cheap, be careful as these are flimsy. Many people don't realize it until it's too late and water has leaked under the bag or made its way through a tear. More heavy duty plastic is generally a better option. This may not be acceptable to everyone who has a cast, but if you exercise you will likely sweat under the cast. This moisture promotes bacterial and fungal growth that is the cause of bad odors. If you do exercise, try to dry the cast out as quickly as possible by blowing fresh air with a hair dryer under the edge of the cast. The quicker you can get to the problem, the better! If the odor becomes a problem, call your doctor and let him or her know that you think you should have the cast looked at. Sometimes a cast cannot be removed because it is holding the bone in an important position. However, often a cast can be replaced. Furthermore, there are conditions where a cast should be removed. Odors can be a sign of a more severe skin infection under the cast, and if this is suspected, the skin should be evaluated by your doctor. A little baking soda can help to dry up some moisture and cover some of the smell of a stinky cast. Gently powder the cast with a small amount of baking soda. Simply covering up the bad smell with a stronger, less annoying odor can help to cover up the problem smell. Obviously, dabbing a little perfume on the cast will do nothing to rid the smell under the cast, but it may help you and those around you cope with the problem. Taking a sheet of fabric softener and rubbing it on the cast can help in the same way perfume can cover up some of the odor. Fabric softener tends not to be as strong as perfume, so it may be more appropriate for those who don't like the scent of perfume. CastComfort is a product that is made specifically for cast smells. There is nothing fancy about this product, just a talc-based spray. However, it is easy to apply to your cast and not too expensive. There is a product called CastCooler, which wraps around your cast and connects to a standard vacuum. The product helps to cool the skin and remove moisture under the cast. This is a safe product that seems to help with some of the common symptoms of cast annoyance. Wash a cast you were told to keep dry. There are waterproof casts, but make sure that's what you have before getting your cast wet. Push anything under the cast to scratch an itch. Don't stick hangars, sticks, pencils, forks or other objects under the cast. Not only can these do skin damage, but they can also pull the padding out from under the cast. It never hurts to call your doctor to discuss the problem, and the only solution may be to have the cast replaced. You may also consider a waterproof cast. While there is a cost sometimes associated with the materials for a waterproof cast, it may be worthwhile to help you keep it from smelling too bad. Treatment of a broken bone with a cast is rarely a pleasant experience. Even for young children who may be excited to get a cast, the fun wears off quickly! One of the most problematic aspects of caring for a cast is keeping things from getting too pungent. There are steps he can take to control the odor coming from a cast. Keeping the cast clean and dry, as best possible, will help keep the smell from getting too bad.